During the first six months of our lives together, I was fairly certain the Devil was in my dog. Hard to believe, right? You look at that adorable face and you think what could he possibly do? I used to work very long days at the office. 12 hour days. So I would keep him gated in my kitchen all day. He had water and a snack. He had a wee wee pad. He had that nice dog bed. He had toys. I’d leave the tv on so he had noise and heard voices. I did everything I could to make him comfortable. But every day when I came home from work, he’d let me know how unhappy he had been. I can remember dreading coming home. Because I knew at least 45 minutes of cleaning was waiting for me. When I got to my kitchen this is what I saw. He had shredded the wee wee pad, pissed on the floor, and flipped his bed into the pee so it was soaked in urine. Then he’d pooped on the floor and danced on it so that it was cemented into the tile and grout work. Somehow he had managed to step in the fresh poo and then wipe his paw down my white cabinets. And this was everyday that I went to work that this happened. There were times I fantasized about staying in a hotel so I couldn’t face this cleanup. Clearly he was lonely, but there wasn’t much I could do about it. I thought about getting a dog walker to break up his day. Then I hurt my back and was home with him for six months. He turned into an angel baby. After that, I got a job closer to home and came home every day for lunch. From then on I had the best dog in the world. 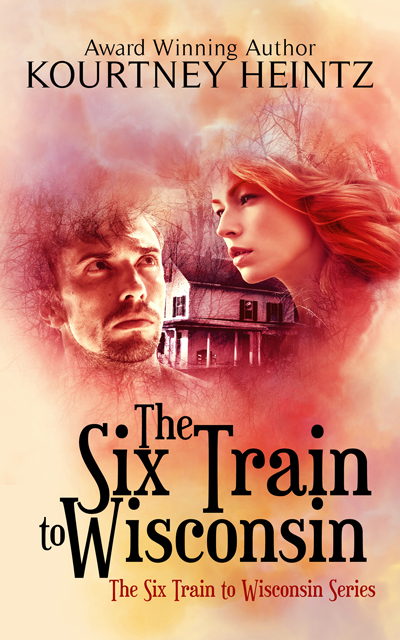 The Six Train to Wisconsin will be free on Kindle on March 15-17 and March 23. It’s a limited time promo thing so mark you calendar. I’ll tweet reminders that day too! 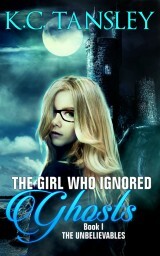 The Girl Who Ignored Ghosts will be 99 cents on Kindle on March 29. 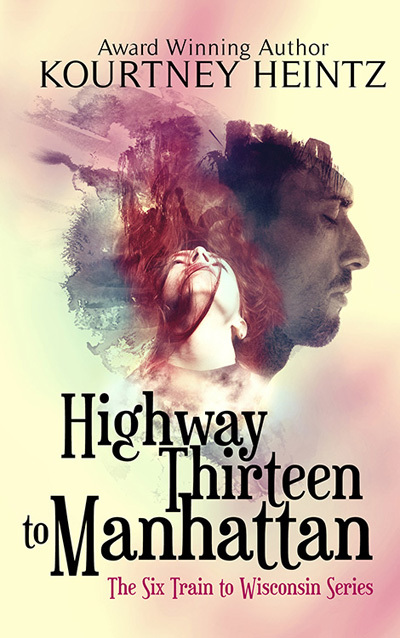 This entry was posted in Personal, Uncategorized and tagged 99cent ebook, dog acting out, dog pooh, Emerson, free ebook, humor, puppy behaving badly, the devil was in my dog. Bookmark the permalink. I just can’t believe that sweet little dog was capable of such horrible acts, Kourtney. 🙂 Actually, I can. Dogs, just like children, will act out when they’re not getting the proper attention. What breed is your dog? That face is just adorable! LOL. It was so hard to look at that cute face and realize he was so vindictive. He’s part shih-tzu part lhaso apso. A warrior lapdog. He’s got an ewok face. He’s probably on cloud nine to have you working as a writer now. He has a lot more access to you! So happy for you both that you get to spend more time together! Oh my goodness, how could you stand it! I guess when they’re as cute as he is, you grit your teeth and bear it. Glad he has more “mama” time now! I can remember sitting at work and dreading how close I was to going home. I seriously considered getting a hotel a few nights. I just couldn’t bear to face the horrors he’d created in my kitchen. Those first six months were the worst. Just took him a while to train you – or get the message translated properly. What a cutie. He melts my heart constantly. He was terribly lonely. I wished I could have been home more those first few months. Glad to hear you managed to come to an understanding with Emerson, Kourtney. Dogs (all domesticated pets, really) crave attention and interaction as much as humans do. While the symptoms were problematic, it’s good to know that he really just wanted to be with you, a companion more than a simple guard dog, rather than having any true behavioral issues. At the time I thought he was trying to drive me insane, but now I look back and laugh about the worst roommate I ever had becoming my best buddy. 🙂 Have a great weekend. Happy Easter to you too! Haha, what a cutie. It’s almost hard to believe he did those things! We’ve had cats that had a similar attitude to being left alone! Good that he settled down. He definitely looks worth it. It’s so hard. Luckily, my schedule changed to suit his needs for a few years. 🙂 Completely worth it. He’s my best friend. We still argue but I can’t imagine a day without him.